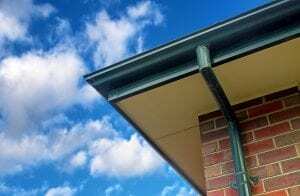 Based on the title of this article, you might think there’s ongoing debate as to which type of gutter system is better, seamless or sectional. In reality, among professional gutter contractors, and many Millersville residents, there is little dispute. Seamless gutters are decidedly superior. The question, of course, is: Why? If you’ve guessed that it’s because they have no seams, you’re right. That one distinction makes for a huge difference in functionality, appearance, and the level of maintenance required. No matter how extensive – or expensive, for that matter – your gutter system is, leaks and clogs will significantly limit its effectiveness. Compared with sectional gutters, seamless systems are much less prone to leaking due to a lack of seams, which tend to pull apart over time. Seams also trap debris. As debris builds up, it clogs your gutters, and when water can’t fully drain from them, it spills over, potentially damaging your home’s exterior walls, eroding your landscape, and seeping into your home’s foundation. The latter is a worst-case scenario that can run into the thousands of dollars in damages, but, as home improvement experts can tell you, it happens more often than you might imagine. When it comes to appearance, think how many times you’ve stopped to admire someone’s gutters. Probably not very often, but when you have, we’re betting they were probably seamless ones. With no unsightly seams to mar their appearance, these systems provide a clean, cohesive aesthetic that draws the eye and complements the rest of the home. Have you Heard About 31-W Insulation? For seamless gutter systems that can protect your home year after year while boosting its curb appeal, consider 31-Insulation. We are one of the leading professional gutter contractors in the Millersville area, and we install durable gutter systems made by Spectra Metals, a top manufacturer in the industry. We’d be happy to tell you more about these long-lasting gutters. Just contact us to arrange a free consultation. One of our knowledgeable representatives will come to your home at a time that’s most convenient for you.